The much-anticipated practice exams arrived late last night, and we also have a few other resources to share with you. Some of you may notice that the tests have been delivered earlier each year — this year, by about a week. See here for a bubble sheet to make the practice test experience as close as possible to contest day; the Bible Bee's site also offers scan sheets for 100 questions and for 200 questions. Please note that these practice tests and other resources were created by volunteers and are in no way endorsed by the Shelby Kennedy Foundation, which hosts the National Bible Bee. Weekly Bible Bee quizzes. Thank you to Nathan Wright for taking charge of the Bible Bee quizzes. You're doing a great job. Past quiz questions. Naturally we have only included the multiple choice questions. Please let us know if you spot errors in the questions; there are probably at least a few. These did not undergo the same level of scrutiny as those in the practice exams. Bible Bee study videos: On Vimeo here. Bethany and Landon Meckle review the content of the past few weeks and share suggestions given by other people. You can submit a suggestion, too. You can also access them at Bethany's Weebly site. 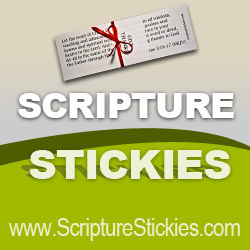 Free songs for Bible Bee verses: Please see here on Mustard Seed Faith Media's site. You can listen to and download these songs for free. They are sung by Nathan in all four translations. Bonus practice test: Andrew Adams and Everett Chew prepared another practice exam, aimed at Juniors and Seniors. Here is the test; here are the answers. Final quiz: One last broad review quiz will be held here on MemVerse the day before locals. See the link for more details. If you have another resource to add, please leave a comment and we will try to include it. This year, fellow Bible Bee participants, led by Matthew Minica, have put together micro quarter-length practice tests (25 questions for Primary, 50 questions for Junior and Senior), intended for local events this month. Full length tests should be available in early August. Tests are available as PDF files: Primary | Junior | Senior. The answers (no peeking!) are available here. See here for a bubble sheet to make the practice test experience as close as possible to contest day. Please note that these practice tests were created by volunteers and are in no way endorsed by the Shelby Kennedy Foundation, which hosts the National Bible Bee. We're happy to announce that the practice exams for this year's Bee are available one day earlier than they were last year, which means, today! Cheers to Matthew Minica and the three volunteer teams who created each of these tests. Please help spread the word to your Bible Bee friends!